In looking up the Merriam-Webster definition of extracurricular, I see that while the first definition is “pursued in addition to the normal course of study”, the second definition is more relevant: “Outside the normal routine, especially that provided by a job or marriage”. It’s interesting to think how much attention these passion point activities receive in high school and college, and how they seemingly subside during the young adult years (i.e., twenty and thirty year old age range), and then resume in later years. This line of consideration was stimulated for me by learning about the “secret life” of another Chicago area Penn alumni recently. As background, our family has been spending a lot of time the past few years attending high school theater performances, as our oldest child, Chris Porzenheim, has chosen to make drama his extracurricular passion. Because of this, we’ve chatted a bit more with the other parents whose children are also performing. It turns out that our Chris frequently performs with Mitchell Stone. And, that Mitchell is the son of Matt Stone (CAS’84, W’84). But I still didn’t know about the fact that Matt is an accomplished singer, until I asked for his help to update class notes. From this, I learned that Matt is a singer/songwriter, and his debut CD, Nothing to Hide, can be found at CDBaby.com and on iTunes. Another example is that Bart Miltenberger, who I know through his “day job” at Penn Alumni, is a professional musician and trumpet player. As summarized by Tim Hyland, music is a huge part of Bart’s life, and is well integrated with his professional life at Penn and personal life as a father of three. Personally, I’ve spent five years co-writing a book about moms from a customer segmentation and insights perspective. Completing this work has encouraged me to do more writing than my normal business job entails (Powerpoint is not prose). 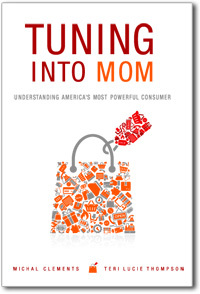 Now, I’m excited to report that the book Tuning into Mom: Understanding America’s Most Powerful Consumer was released on October 15, 2011 and this is causing me to learn about giving inspirational speeches to audiences. Too late, I also realized that an acting class could have been helpful, and got a crash course in media training. For those who are interested, more information on the book can be found at www.tuningintomom.com and the book can be found at Amazon, Barnes & Noble.com and Wal-Mart.com. I think it would be very interesting to learn more about the passions, hobbies and adult extracurriculars of my fellow Penn alumni. And to encourage one another! In today’s socially networked world with Facebook, Twitter, LinkedIn and more, we are not required to be physically together or voice to voice to share this information. While long form essays/blogs may not be the best mechanism, it’s a start. It would be great to connect with Penn alums who have a shared extracurricular interest area. 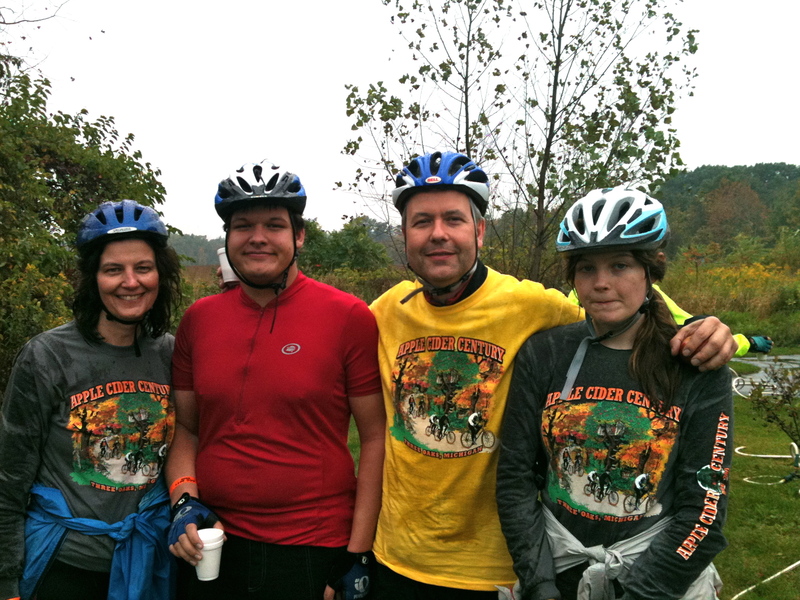 My Family on a Bike Trip this Fall. Tagged as Alumni Perspective, Michal C.